Block Story is trying to reinvent block builders, unfortunately, it isn’t quite there yet. Minecraft is an exceptionally popular game. Turning into a merchandise empire, Minecraft’s success has spawned many games inspired by, and cloning its style. From straight rip offs of the game, like Castleminer, to the aesthetically influenced, but fundamentally different Guncraft, voxel based games are plentiful. With the upcoming release of Block Story, these games don’t seem to be slowing down. However, the question becomes: does this separate itself enough from Minecraft to stand on its own? Fundamentally, Block Story, and Minecraft share many mechanics. 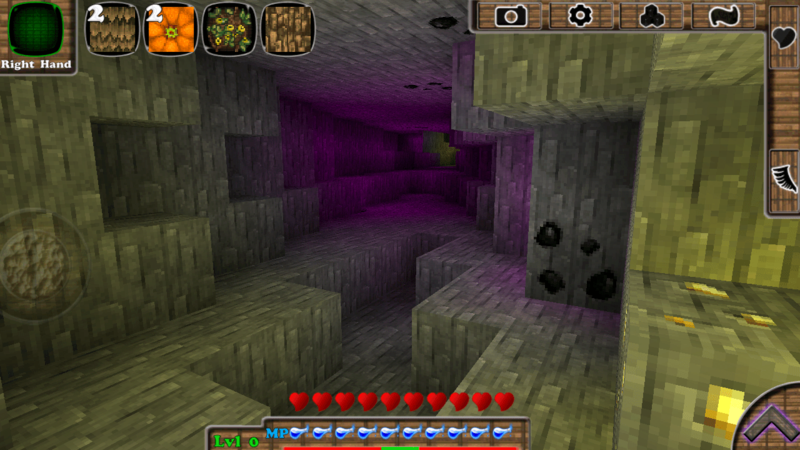 Both have Survival and Creative Modes, and both have similar mining and crafting mechanics. Where these differ is with the RPG elements of Block Story. You can equip a vast amount of armor and weapons, fight all sorts of fantastical creatures and complete quests as well, but there is one major issue with this. Most quests boil down to basic fetch quests, and you are rewarded with recipes to build new things. Not only is this tedious, but it eliminates the whole aspect of self-discovery Minecraft so beautifully offered in its infancy. Another serious gripe I have with his game is its visual aesthetic. 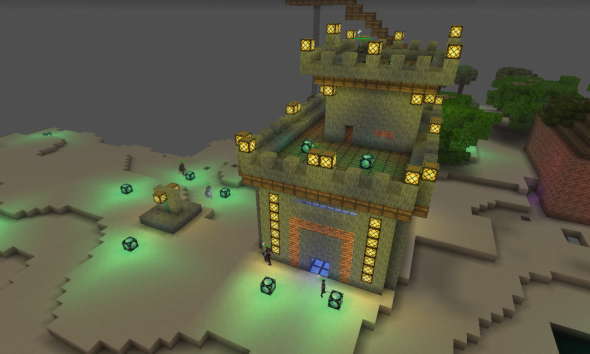 A trend of Minecraft inspired games is to mesh 3D models with a Voxel world. From weapons, to all characters, everything not a part of the world itself is done in a full 3D. This is very jarring, and the lack of visual unity does not help the game in any way. The actual mechanics of building, and mining feel clunky right now, but I suspect that will change when this game is released. There is no “Mining” animation yet, and the only signifier showing that you are breaking a block is subtle cracks. Also, land masses just float in the sky, and water is raised slightly above ground level, which are two small, but apparent issues. More complex creations such as vehicles, don’t exactly work all the time, if at all. It is clearly rough, but that should change before its release. The UI also suffers from a relatively finicky structure. This is especially noticeable when concerning the creative mode. Taking, and equipping stacks of items feel needlessly cumbersome, and I am not exactly a fan of the replacement of stacks of tools, and weapons, rather than just using a durability bar. Block Story feels confused. On one hand, it wants to be a Minecraft-like voxel explorer/creator game, but on the other, it feels like there are aspirations to create some sort of dynamic RPG. I would love to see a procedural generated RPG where each game you start is wholly unique. To me it seems that Block Story wants to be an extremely new and innovative game, but is too caught up with the voxel mechanics to really reach its true potential. This is available for early access right now, and it is my recommendation to pass this one up. If you are interested, watch its developments, and see if Block Story grows into the game you want. 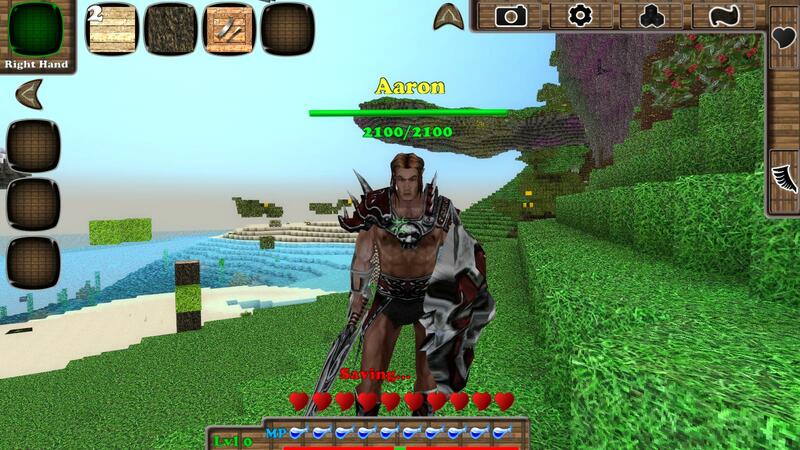 At this point, it I don’t even think it is ready to be a Mincraft clone.